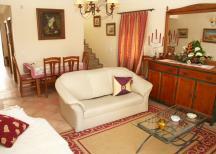 This two bedroom townhouse with communal pool & tennis court is spacious & pleasantly furnished. Situated on the Vila Rafael complex in Sao Rafael just west of Albufeira. The property itself is on two levels, with a private ground floor terrace with BBQ and direct gated access to the pool area. On the second floor both en-suite bedrooms have access to a terrace with views over the resort to the sea. With the new Marina & Albufeira old town to the east, you are just a five minute drive from an amazing choice of shops, street vendors, restaurants, bars & nightclubs. Ground floor: Full kitchen, store/laundry room, WC, lounge/dining room with patio doors to your private terrace w/BBQ. Direct gated access to the pool area. 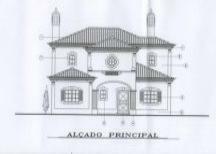 Please quote reference: a4m: 416 villa "Villa Sao Rafael"